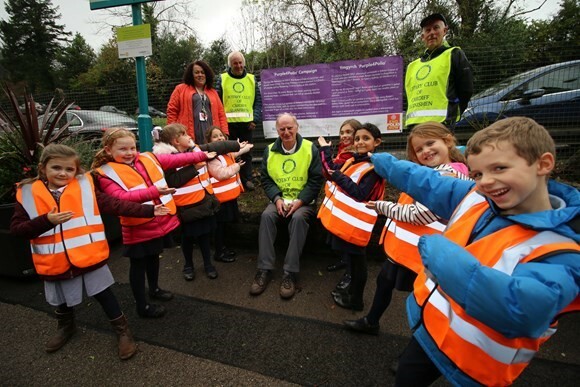 A group of volunteers from the Rotary Club of Llanishen have brought their community together to transform their local train station and plant hundreds of purple crocuses to help raise awareness of a worldwide initiative to end polio. 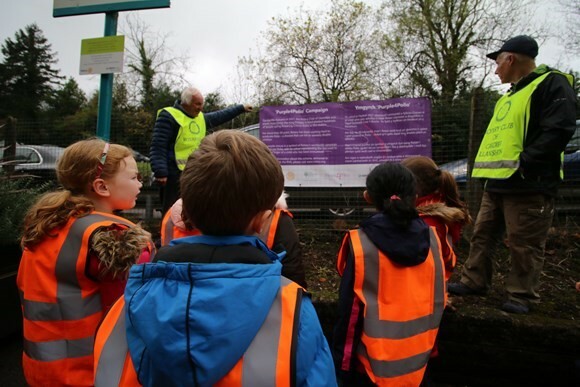 Members from the Club enlisted the help of local schoolchildren from Christ the King R. C. Primary School to lay hundreds of crocus bulbs which will erupt into a stunning mauve floral display for commuters next spring at Llanishen train station. The flowers were planted in recognition of Rotary International’s latest campaign, Purple4Polio, which is designed to unite communities to engage in activities as part of the final push to eradicate polio for good. 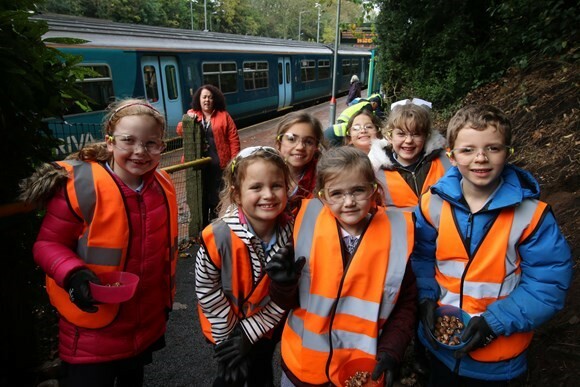 The Rotary Club of Llanishen adopted the unstaffed railway station through Arriva Trains Wales’ national ‘Adopt a Station’ scheme, which aims to improve links with local communities and customers across its network. In addition to sowing the crocus bulbs, the volunteers have potted three new planters filled with seasonal blooms to brighten up the station. Youngsters from Christ the King R. C. Primary School visit every week to water the new plants. Tony Fundell, from the Rotary Club of Llanishen, said: “We were approached by Arriva about the possibility of taking on the local station and thought that there was great potential to deliver benefits for the group and the wider community. It was only at a later date that we realised we could use the station as a way to help spread an important message and raise awareness of the charitable work of the Rotary club. Polio is a highly infectious disease which mainly affects children under 5 years of age and cannot be cured, only prevented. Over 2.5 billion children have received vaccinations thanks to the help of Rotary and eradication is now closer than ever. Headteacher of Christ the King R. C. Primary School, Mrs Rachel Woodward, added: “We were thrilled when the Rotary Club asked our pupils to become involved in looking after Llanishen Station, and in particular, the recent bulb planting in order to raise awareness of the Purple4Polio campaign. For more information on Arriva Trains Wales’ ‘Adopt a Station’ scheme please visit www.arrivatrainswales.co.uk/AdoptStation or contact 03333 211202.